Thunder cracks across the sky, rattling the orange groves and moss-clad oaks out of their summer somnolence. The rain lashes in chaotic intervals against gardens anchored by magnolia trees and concrete thoroughfares lined with crepe myrtles. It slows after an hour, spitting heavy drops and then breaking for minute-long intervals, uncertain as to whether the storm is finished or wants to begin anew. June in Orlando is more than just summer; it’s nature reaching out and giving you a wet, hot hug. The air is too tired to move and makes you feel heavy, too. You wade through the season, half-burned and half-drenched, too proud or too stupid — too Floridian, in any case — to complain. It is during one of the bursts of pouring rain that I pull my Jeep into the media lot at Camping World Stadium, three hours before kickoff of Saturday night’s game between the San Jose Earthquakes and Orlando City. This is the first significant sporting event held in the city of Orlando since last weekend’s horrific act of hate and terror at the LGBT nightclub Pulse left 49 people dead and more than 50 wounded. A purple poncho-clad parking attendant, flanked by a police officer, waves me over and signals for me to roll down my window. “We have to scan the parking pass, even in the rain,” she tells me. I hold the pass up at the half-open window. “Every fan will have to be checked,” a security guard tells me. There are no scenes. No testiness. “Sorry for the inconvenience,” one guard tells a woman. “Thank you for it,” she replies. William Collins is one of the fans waiting in line to be searched. His red shirt reads “Orlando United” and he is wearing a homemade rainbow armband, a less-polished version of the one U.S. Men’s National Team captain Michael Bradley wore in the Copa America quarterfinals against Ecuador two nights ago. “The primary feeling is one of togetherness,” says Collins, a high school science teacher originally from England. He moved to the city for a girl in 2012. “The girl left me, but I’ll never leave Orlando,” he says. Outside the stadium, people are tailgating almost as usual. An hour before kickoff, the rain picks up one last time. The people come anyway — 37,194 of them. They’re waving rainbow flags and wearing homemade rainbow armbands and shirts that read “Orlando United” above a rainbow heart. Among them, a section of 49 empty seats with 49 rainbow colored balloons, one for every life ended. They cheered the first responders, police, fire-fighters, and paramedics who were the first at Pulse nightclub in the aftermath. They sing the national anthem and then club song after club song with full-throats and drenched shirts and heavy hearts. They’ve coordinated their colors by section, so that the stands look like a rainbow. During the second half they unfurl a banner that reads “Never Afraid.” In the 49th minute, the game stops. Players and spectators rise to their feet and stand still and silent. Amanda Pruitt moved to Orlando to practice nursing after she finished college, seven years ago. She worked a shift on the morning after the shooting and assisted two of the wounded. She has been at the stadium since 3 p.m. with her friend, Michael. A man walks by and offers Gutierrez a handshake and a knowing grin. “To Orlando!” the man shouts. “To Orlando!” Gutierrez fires back. “I hope the club make a run after this. I think they will. The city beautiful needs something beautiful,” he says, referencing Orlando’s nickname. If the soccer seems secondary, that’s because it is, but the players fight for every inch. 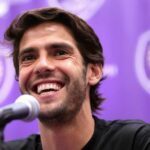 “I don’t think in all my years of football — and I’ve been doing this a long time — I don’t think I’ve ever wanted to win a game of football as bad as this one,” Orlando City manager Adrian Heath will say at the postgame press conference, still wearing the black armband over his soaked white cotton dress shirt. For a blink, it appears that Heath’s side will pull it off. They go up by a goal, but Chad Barrett ties the game for San Jose late in the match. Early in stoppage time, Julio Baptista runs onto a pass from Carlos Rivas. The Brazilian turns and blasts a left-footed shot past David Bingham to give Orlando the lead. As Baptista and his Orlando teammates celebrate with their flag-waving fans, it feels like a just result. But it doesn’t last. 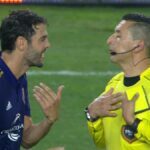 On the game’s final sequence, two Orlando players botch their clearances. After a deflection, the ball lands in Orlando’s penalty area, where Shea Salinas slots it home for the visitors. As the Quakes fall into a dogpile, the stadium goes silent. Some of the Orlando players fall to the ground after the final whistle, emotionally drained. Besides, a stoppage time winner might have been too perfect after such unspeakable violence and heartbreak. Even fleeting joy would feel inappropriate, or seem phony. Perhaps the draw is fitting, a reminder that there is no happiness without something to forget, and that you can’t move forward completely until you grieve and remember. It is true that sports provide inspiration, that they have medicinal value, particularly in triumph. The ability of sports to provide joy is what compels people to the games. But let’s not overestimate a game’s healing value. 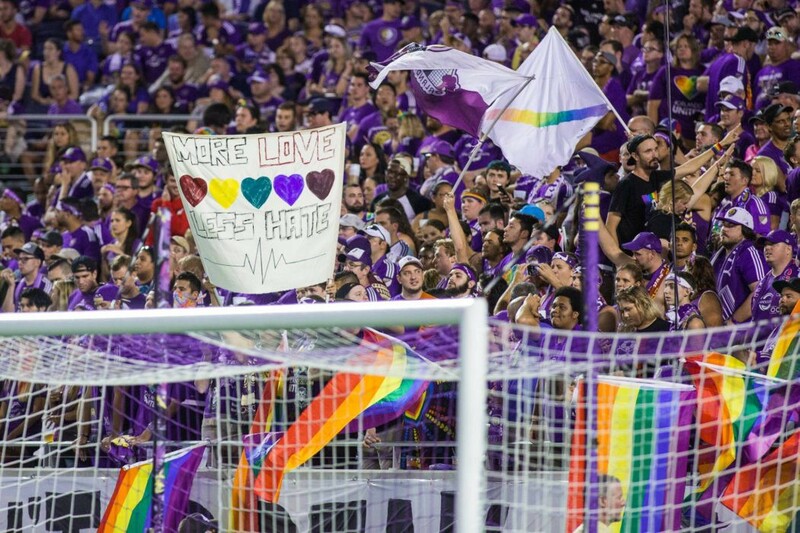 No matter how many times Orlando City wins in the weeks to come, the city, the state, and the country have suffered a grave wound — the kind that requires surgery, not stitches. A run to the playoffs and maybe further will not ease our frustration or quiet our anger or quell our desire for a new reality. But it can be an act of defiance, a sign that a city and its people won’t give in to hate and grief. Neil Blackmon is co-founder of yanksarecoming.com. Follow him on Twitter @nwblackmon.